I have a 12 and 2 year old at home. There is a big age gap between them, so when there is something that can bring them together, whether it's a movie, television show, food or even a toy, if it's something that allows them to spend time together, I'm one happy mom. So I was really excited when I heard about the new Aquabot 2.0 Shark Tank from Hexbug. Both of my boys absolutely loved this. It had the boys playing together for a few hours. My youngest was making shark noises over and over again. The boys liked that the pink angelfish just swam around over and I appreciate the fact that there is an automatic shut down after 5 minutes of it not being used. The tank and fish were easy to set up and we only had to place the shark on the edge and fill the tank with water. There was no assembly required. My oldest put everything together himself, set up is that easy. 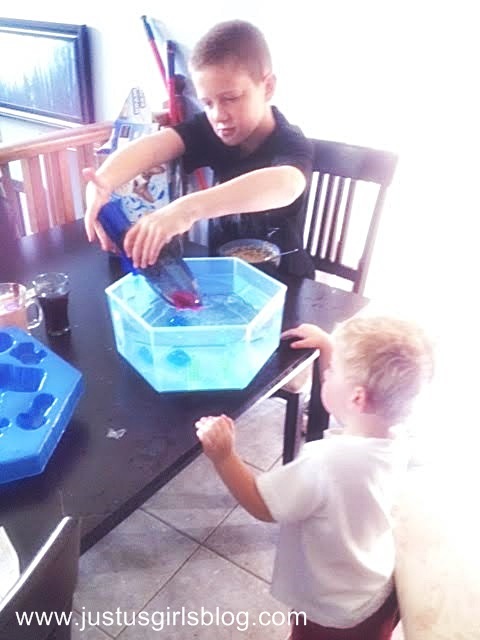 This was awesome, as we had a pet, "fish," without the cleanup of taking care of a real life fish. 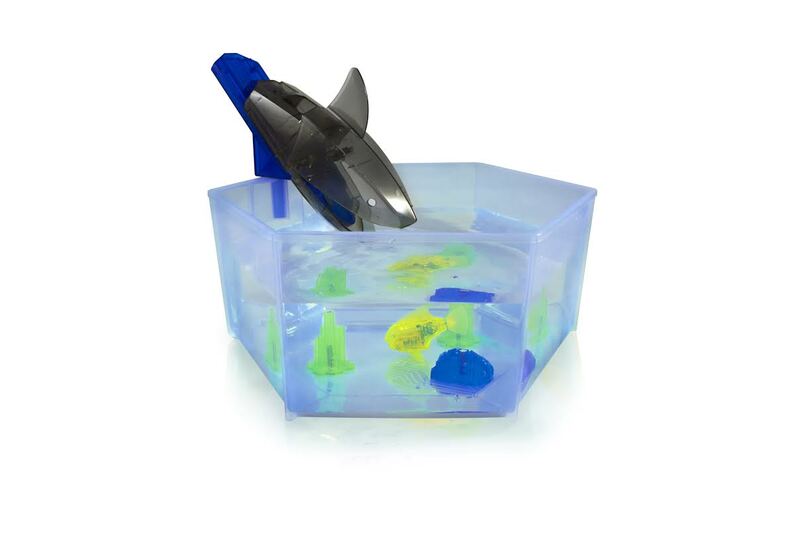 Each Shark Tank comes with an Angelfish, that has smart fish technology. All you need to do is tap on the tank to wake the sensor and an inner LED glow that makes it appear more alive than ever before! The AquaBot 2.0 Shark Tank retails at $33.99. For more information about this and other AquaBot toys from Hexbug, check them out online at www.hexbug.com. Disclosure: All opinions are my own. I received Hexbug Aquabot 2.0 Shark Tank at no cost for the purpose of this review. No other compensation was received.